New York City woke up this morning to witness the destruction caused by another night of Hurricane Sandy. Where normally a skyline of the city would be full of light and activity, pictures taken today show a city in the dark. Clouds lingered in the early hours of the morning – remnants of the storm that is just beginning to pass. After two days, the weather has finally calmed slightly. Businesses and schools in the north east are expected to re-open on Wednesday, but it will be a long time before the city fully recovers. Damaged by severe flooding, the subway will remain closed for some time to come. Some residents were able to see the brighter side, though. Catherine Barde, a Red Cross worker from New Jersey, remarked that “last night was quite something.” Safe in the eye of the storm, she describes how she was able to help other members of the community without feeling in too much danger. Some areas weren’t so lucky, though – more than forty people are thought to have died in New York alone. The lights will turn back on in New York soon, but we must not forget that the recovery effort will continue for some time, no matter how well they appear to be coping. There is no doubt that it will be a long time before NYC and the surrounding area is restored to its former glory. The overall cost of the storm is estimated to be around $40 billion. Among the areas hit so far are Jamaica, Cuba, and sadly Haiti; struck again less than two years after its last catastrophic earthquake. Barely beginning to recover after January 2010, Haiti proves that the work will never truly finished until regions prone to natural disasters can put in place effective measures to avoid such destruction in future. Storm Sandy now makes its way towards Canada. Petrie also asked for supporters to consider buying half season memberships, merchandise from the clubstore and by leaving their mark on the new East Stand. The club launched the “East Terrace Scheme” two weeks ago, an opportunity for fans to buy a brick with an inscription of their choice on it. Some fans criticised this move as “money grabbing”, and it’s thought sales are poor. Hibernian play St. Mirren at 3PM on Saturday, buoyed by last Friday night’s 4-0 victory over Motherwell and eager to take the league’s top spot. A lot of the traditions from the olden days have evolved and created this new modernized version of Halloween. But has this modernization abandoned too many of the Halloween roots creating something totally new? Also known as All Hallow’s Eve, Halloween is an ancient holiday that is believed to have originated in the early middle ages. You can actually trace its roots with the Irish pagan festival known as Samhain, which was celebrated with feasting, sacrifices, bonfires and homage to the dead. It is safe to say we have abandoned most of the roots of Halloween, partly because some of them are nowadays illegal (like sacrifice) but we have actually forgotten the essence of what this date is all about. In the Medieval Era, the bonfires made on Halloween symbolized the struggle of souls lost in the purgatory and the trick or treat tradition originated as people would go from door to door offering prayers for the dead in exchange of “soul cakes”. The costume aspect of Halloween actually originated from Christmas parades, so in theory, dressing up has nothing to do with Halloween; but funnily enough it seems to be the only way people know how to celebrate Halloween nowadays. Should prisoners have the vote? “No one should be in any doubt. Prisoners are not getting the vote under this government.” PM David Cameron stated to the House of Commons on Wednesday. Once a person commits a crime they have arguably made a choice. Should that choice include being stripped of basic rights? It is the law that every person in Britain is entitled to freedom of speech and it can be argued that the vote is apart of that freedom. If Cameron stands by his statement, there is a chance that Britain could be kicked out of the Council of Europe as it is going against the view of the European court of Human Rights (ECHR) – that prisoners should be allowed to vote. The ECHR argues that if not given the vote, prisoners are having a basic human right taken away from them. Liberal Democrat ministers are supporting the ECHR, however it is unlikely that they will push for anything that could affect their already damaged support. Prehaps the question should be: Should ALL prisoners have their vote taken away from them? If a person has nearly served their time, maybe they should have a say in what kind of world they are walking back in to. Also, according to a study reported in The Guardian, 8,500 former servicemen are currently serving time in prison (almost 10% of the prison population). If somebody has fought for their country, shouldn’t they have a say in who runs it? Maybe it would be fair to have different rules for different crimes. Surely, a person that steals an Iphone should be treated differently to a person that steals a life? Disney last night announced the $4 billion acquisition of studio giant, LucasFilm – and promptly confirmed their intention to make three new Star Wars movies. The family film-making titan has in recent years embarked upon a strategy of diversifying their portfolio, gradually absorbing ESPN, Pixar and Marvel into the brand. Now, with the addition of LucasFilm, Disney have in their hands sci-fi’s most iconic saga. George Lucas has built LucasFilm from the ground up over a period of almost four decades, and, given the price Disney have paid for his studios, he was decidedly less concerned. Despite Lucas’ relaxed attitude on the subject, social media sites have been quick to criticise the decision in comical fashion. 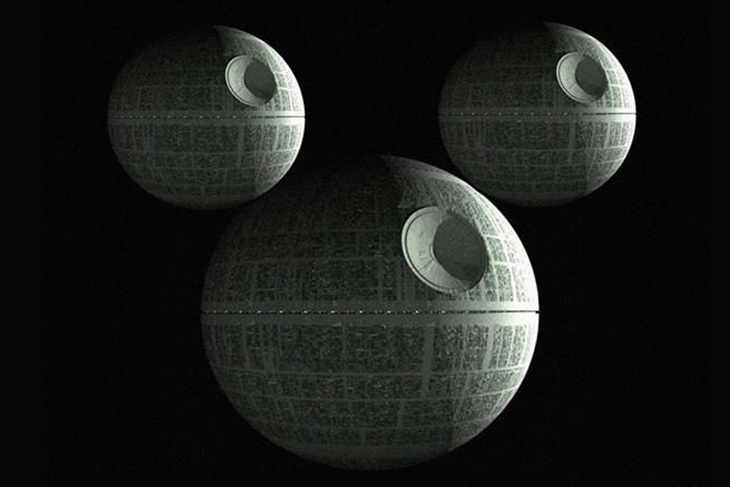 One image has been widely circulated with Death Star space stations from the movies being used to recreate Disney’s iconic Mickey Mouse logo. The first of the new trilogy, with the working title “Episode VII” is scheduled for release in 2015. As Hurricane, or “Superstorm,” Sandy hit New York, the rumour-mongers, photoshoppers and trolls hit twitter. Despite following only two Americans – Barack Obama and the Guardian’s US correspondent Ed Pilkington – my timeline was, erm, flooded with material about #hurricanesandy. We are receiving round-the-clock footage and reports of the devastation Sandy is wreaking on the American East Coast. At least forty have died and thousands of homes, businesses and roads have been almost submerged in water.